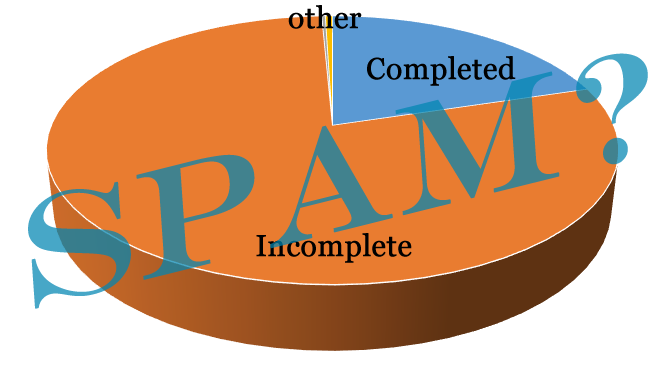 Question: How does your system deal with finding and fixing email deliverability issues – SPAM filters? The only way to minimize the amount of spam filtering is by running it through spam-checkers before it goes out, and by sending emails from a system with an excellent 'email reputation' (that's a real thing). We use Constant Contact for sending all of our Invitations & Reminders. They are the #1 company for mass-emailing, and have the best reputation possible. Regardless, even with our best efforts there are still a few providers (like AOL & Hotmail) that seem to filter out perfectly good emails. Furthermore, we run each email through a spam-checker before they are sent, to make sure there are no spam-triggers. Question: Is there anything my organization can do to overcome the spam issue on the front end? The best thing that we (or any organization that wishes to contact their membership by email) can do, is to have your members 'whitelist' our domain (ezVoteOnline.com). Next best, is to contact your members through other channels (FB, website, newsletters, NextDoor, Twitter, word-of-mouth) and have them ready to expect an Invitation on such-n-such a date, and if they don't see it, to check their Junk/Spam folders. Also, know what your Bylaws say about a quorum & margins for your community. If you only need 50% of 500 eligible voters, undelivered Invites aren’t such a huge problem. If a candidate needs a 2% margin and it’s a close race, we’ll need to get every eligible voter to cast their ballot, and the Junk/Spam problem just got bigger. Regardless, there’s always a way to make sure that every eligible voter gets a chance to cast their vote. There are still 80% of the voters who don’t care enough to vote! This is a MUCH bigger problem than the spam issue. This should help put things into perspective. Yes, you want to make sure every eligible voter gets a ballot, but getting them to complete that ballot is a much bigger challenge!